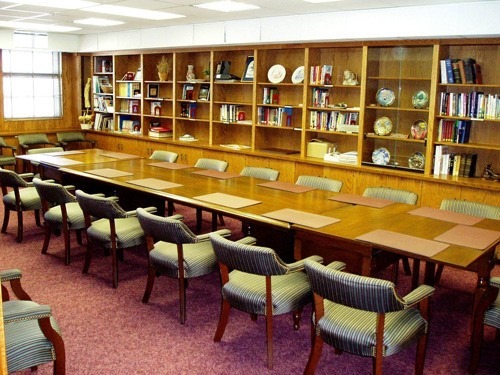 Does your Office Furniture Need Restoration, Repairs, or a Fresh Look? Weight room benches and pads? Whatever your project, whatever type of business you’re in, Furniture Werks can help you present a professional, successful image—and provide years of unfailing comfort for your patrons. Before you buy new…before you toss it in the dumpster…let us take a look at your commercial furniture to see if we can salvage it—and improve it! From the simple to the complex, we can handle it all! For churches, banks, restaurants, corporate offices, health clubs and more, one call to Lou Butcher’s Furniture Werks will provide the commercial repair and restoration services you’re looking for. Our in-house furniture craftsman will even come to you for those complex built-ins or commercial items that are just too large or too bulky to bring to us! Lou is always available to make an on-site assessment and estimate too. Just call or email us for an appointment today. Or, email us photos of your projects and we’ll reply with an estimate (where possible); e-mail your photos to lou@furniturewerks.com. Please note: some repair and restoration work requires an on-site evaluation. For these items, we will contact you upon receipt of your photos to schedule an on-site visit. All estimates, excluding those for insurance purposes, are free of charge. 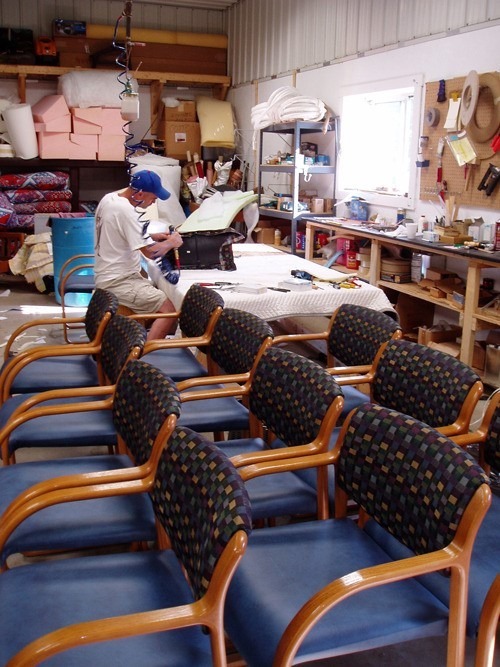 With years of experience, unparalleled professional service, a vast library of designer fabrics, and a simple single source for upholstery, wood, repairs and more, Lou Butcher’s Furniture Werks is the only name you need to know for commercial furniture restoration services.